Links between British intelligence agencies and Colonel Gaddafi’s government were much more extensive than previously thought, new documents reveal, with the UK shown to have used information gained from suspects allegedly tortured in Libya. MI6 had previously been exposed as playing a part in the kidnap of two Libyan dissidents, who were transported to Tripoli in 2004, and one of the captives, Abdel Hakim Belhaj, is currently suing the British government. Extensive study of official papers from Libyan government archives, revealed by the Guardian, shows that MI5 and MI6 agents worked with Gaddafi’s security agencies on numerous joint operations, involving Libyan opposition figures and dissidents being detained and allegedly tortured. Libyan agents were also reportedly given an invitation to operate in Britain and work with MI5, where they took part in the alleged intimidation of Libyan dissidents living in the UK. The British security agencies also used their work with the Libyans to provide evidence at a “significant” number of court hearings in London between 2002 and 2007. 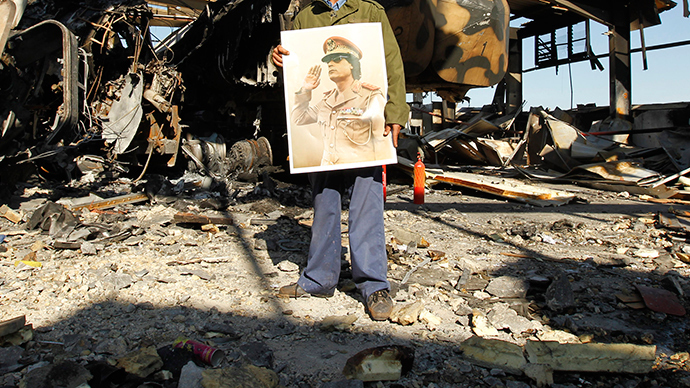 The hearings took place while the previous government was attempting to deport those opposing Gaddafi. Some of the papers are marked “UK/Libya Eyes Only – Secret”, and include reports of Libyans living in the UK. The details discovered in the official papers show that British intelligence sent over 1,600 questions for the two captured dissidents, Abdul Hakim Belhaj and Sami al-Saadi, even though they were aware that the pair were being tortured. They also reveal that government lawyers supposedly used their answers when attempting to deport Libyan nationals from the UK. The information given from two Libyan “rendition” victims was allegedly further used to place five men in control orders within the UK. Some of the papers were recovered by the NGO Human Rights Watch in 2011 during the Libyan revolution and hundreds of documents have since been found in government files in Tripoli. Lawyers in London have been using the documents to provide the basis of a damages claim for 12 men, who say they were kidnapped, tortured and subject to control orders. Their claims follow the court case brought on behalf of Abdul Hakim Belhaj and Sami al-Saadi and their families, who were kidnapped and sent to Tripoli. The al-Saadi family settled for a £2.23 million compensation payment, but Belhaj’s case remains ongoing, despite attempts from the government to throw it out of court. Belhaj is suing both government and senior figures: Mark Allen, the former head of counter-terrorism at MI6, and Jack Straw, foreign secretary at the time of his kidnap.